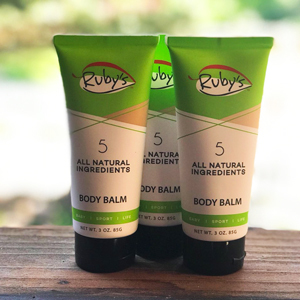 Ruby’s is an ALL NATURAL lubricating balm with 5 simple ingredients of olive oil, lemongrass, calendula, beeswax and benzoin. These ingredients are ancient to skin care. Balms and creams made from calendula flowers are known to promote healing and are used to treat minor skin problems such as eczema, insect bites, diaper rash and minor burns. Olive oil is a natural moisturizer for dry skin and the lemongrass gives Ruby’s a fresh lemon scent without the irritation of citrus. Our beeswax helps to seal in moisture and protect the skin from drying. 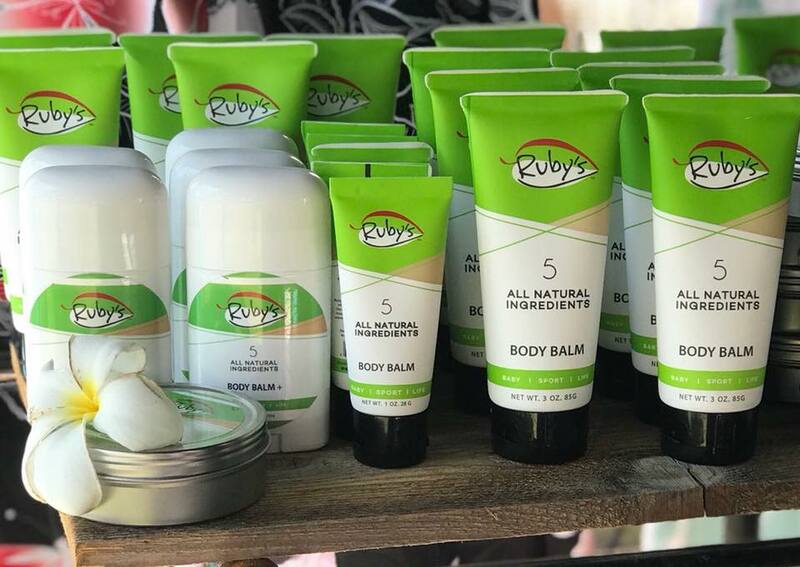 Ruby’s is not only great for athletes and chafing, it can be used by the entire family for any dry skin condition, rash or minor skin irritation. 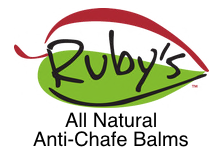 Use Ruby’s to moisturize dry feet and elbows, soothe a baby’s bottom or massage sore muscles. Ruby’s, “MOTION POTION FOR EVERY NOTION™” is naturally better. Browse the full product line up here.